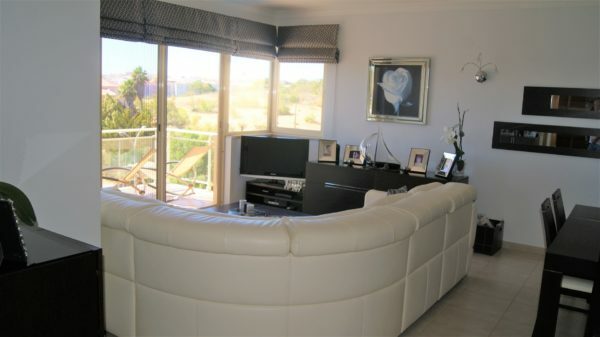 This superb 4 bedroom duplex apartment sits in an elevated position looking out to sea and the Marina. Really well planned out the property comprises two entrance doors giving access to both levels of the accommodation. The first floor has a fully equipped kitchen with all the appliances needed and a spacious living dining room, both leading out to a covered terrace with amazing views. On the same level there is also a double en-suite bedroom with fitted wardrobes and a guest’s bathroom. On the lower floor there are 3 en-suite bedrooms all with fitted wardrobes, two of them sharing a large terrace with views towards the Marina and the sea. 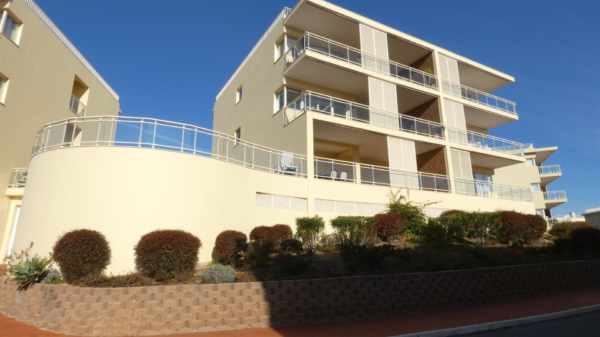 The apartment also benefits from air conditioning, video entry system, double glazing and a locked garage with plenty of space for two cars on the underground parking. Outside there is a swimming pool with plenty of space for sunbathing. 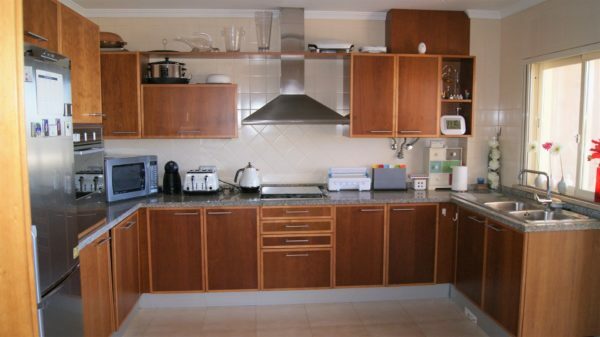 Within walking distance to all amenities this is the perfect property for a permanent or holiday residence.